This article is published in collaboration with the regional portal Bilten, where it originally came out on the 15th of December . On the 11th of December this year, Parliamentary elections in Macedonia saw the ruling DPMNE just managing to scrape by another electoral victory, winning a majority of 51 seats, compared to the 49 won by their nemesis, the SDSM (the Social Democrats). According to the State Electoral Commission, there was a 16.240 vote-difference between the two. Down to 51 mandates, DPMNE lost 10 MP seats since the last Parliamentary elections in 2014 (when it had 61 MPs), and the Party’s preponderance achieved and secured over 10 years of criminal rule was finally dealt a severe electoral blow, although not quite the terminal blow expected by the SDSM and the wider opposition front. In fact, it was the SDSM which first declared victory and started celebrations at about 22 o’clock on elections day. 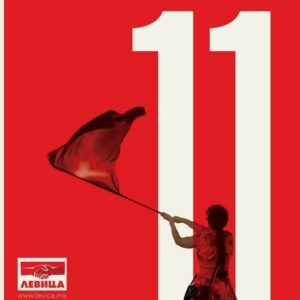 Taken on by a euphoric wave propelled by the combination of a high election turnout of almost 67%, (expected to be in their favour), the early favourable ballot count and most of all by the anxious anticipation to finally declare a victory over Gruevski following 10 years of his rule, the leader of the SDSM Zoran Zaev, prematurely declared victory. And while allegations of fraud remain (three claims of electoral mishandling have since been accepted by the Electoral Commission, and a revote is expected in a couple of places, which may affect the final result), now the bulk of the attention is focused on the coalition combinations, as 61 is the required number of mandates to form a Government. The bargaining power is now in the hands of the Albanian parties, which jointly took the remaining 20 mandates: BDI (DPMNE’s current coalition partner) has won 10 seats, 5 seats have been won by the newly formed Party Besa, Alliance of the Albanians – 3 seats and DPA -2 seats. Now both the SDSM and the DPMNE are defending their own legitimacy and simultaneously disputing that of their opponent, in order to appeal to a coalition partner and form a Government. To this purpose, Zaev declared that “the regime mustn’t be given a chance to form a Government”, while the DPMNE counters this with statements such as “453,000 citizens will be angry if their victory is taken away”; declarations being currently propagated across the public space. This type of zero-sum expectations serve to instrumentalise their respective share of the electorate, to legitimize and strengthen each Party’s bargaining positions. If we are to draw any conclusions from the past two years’ experience, when anti-government protests and counter-protests were similarly used to legitimize the negotiating position of the opposition SDSM and the ruling DPMNE (which resulted in the EU-brokered “Przino” political agreement), then we can expect that the very tight electoral outcome will also be used by both parties, as an excuse to not back off, which may leave no other option but a compromise solution such as a broad cross-party government. This would be a temporary solution, likely to require another early Parliamentary elections to take place in March 2017, in a package with the already scheduled local elections. The second scenario is that DPMNE will manage to form a Government, luring their current partner BDI into another coalition. However, currently, 7 out of the 10 BDI MPs have openly declared that they are against entering such a coalition. Indeed, that criminal partnership has cost them half of their mandates since the 2014 elections (19 MPs in 2014), which they lost to the new Albanian parties (Besa, Alliance of the Albanians) but also to the SDSM, which has gone across the ethnic divide and pulled tens of thousands of votes from the Albanian block, and especially from the BDI electorate . In order to pull BDI on their side, DPMNE would have to make an offer that they cannot refuse and that is likely to require that the DPMNE does exactly opposite from what it has been saying during its campaign. Namely, it is populist nationalist rhetorics that DPMNE has repeatedly instrumentalized to build up fears of an Albanian threat within its electorate. A key campaign feature has been the use of the Albanian threat of federalisation or making the country officially bilingual, to heat up nationalist sentiment, to move the attention away from scandals of the Party, and to discredit the opposition leader Zoran Zaev, as a traitor willing to concede to these demands in exchange for Albanian votes. A coalition with BDI may require DPMNE to give way to such nationalist populist demands by the BDI, which the latter may find as a welcome opportunity to revitalize its downsliding party by giving ethnic based rewards to its electorate. This scenario is the worst one, as it is likely to lead to a Erdogan-type of eliminations of opponents and the establishment of even more openly authoritarian rule, with the total scrapping of all the progress made in the past 2 years. A possible outcome of this scenario, for instance, would be the abolishing of the Special Prosecution Office (whose mandate expires in march 2017). It would entail a return to the situation present 2 years ago, losing in this way all the advances made through the mass social protests of 2015 and 2016. Indeed, the Foreign Ministers of both Hungary and Austria spoke at DPMNE campaign rallies, giving their open support in exchange for the collaboration with DPMNE in the xenophobic securitization of the refugee crisis. As right-wing parties shift to the far right, and build mutually supportive networks, this worst case scenario is not entirely unlikely. 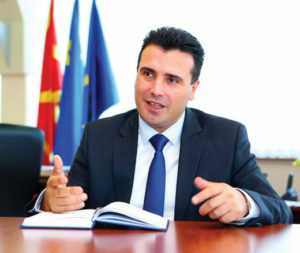 Zoran Zaev, the leader of the Social-Democrats. The third scenario is that a SDSM based government will coalesce through the help of the ethnic Albanian parties. This scenario would be a good basis for the extension of the mandate of the SPO (the Special Prosecution Office set up to investigate the crimes revealed in the wiretaps), as well as for the establishing of a special court, which would set the foundations for restoring the rule of law in the country. DPMNE is going to use its “legitimately” won electoral majority as the key reason why this scenario cannot be realised. This viewpoint however is only legitimate if we play along DPMNE’s game, the rules of which require that we equate democracy with elections. This myopic viewpoint, however, fails to take into account the deeper preconditions that make the repeated electoral victories by the DPMNE possible, in spite of all their criminal transgressions which have been exposed in the past 2 years. 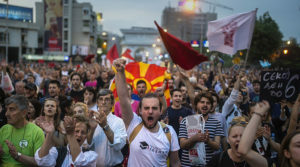 Macedonia’s 2 year “political crisis”, was set off by a wiretapping scandal that revealed that the PM Gruevski and his closest party collaborators had been wiretapping up to 20,000 citizens. The wiretaps exposed huge and widespread embezzlements, murder cover-up, and details about the intricate tactics used to put public institutions and finance into the private control and hands of DPMNE and BDI members or affiliates. What explains then that 452.709 people still voted for DPMNE, despite these and many other shocking revelations? The explanation lies in the mechanism by which DPMNE is managing its electorate. The wiretaps have confirmed how public capital is siphoned into private hands, to members of DPMNE, the party itself, into financing their hold on state power. DPMNE is currently the richest party in Europe, with 60 million euros at their disposal, while the country is the poorest in Europe. Minimum-wage salaries, pensions, subsidies in agriculture and basic social security services have been made conditional on party loyalty and public debt has also been used to finance salaries for a burgeoning public administration staffed with party servants. This conversion of the citizen/voters into an election day consumer of democracy, has also been solidified through propaganda, created and secured through the nearly total control of media and impeccable centralized PR campaigns. Protesters ransack the president’s office in April 2016. The fact that DPMNE has lost 10 seats means that its clientelistic network is starting to come undone. This is the result of the gains made in the past years, following the exposure of the wiretapping scandal, the EU-mediated Przino agreement, and the establishment of a Special Prosecution Office (SPO) tasked with probing high-level crimes as exposed in the wiretaps. However, the fact remains that these advances have not been sufficient to deal a terminal blow to DPMNE, precisely because its control has metastasized to many segments of the society, while its solid foundation in criminally gained finance has largely remained intact. However, in part this also has to do with the very circumscribed space in which the SDSM operates, but also with its inability to carve out a viable social-democratic ideological positioning for itself. The SDSM has focused on a negative electoral campaign based on their “mission” to release the country from the state capture suffered under DPMNE. As the key champion of privatization and early neoliberal reforms in the 1990s, this has meant that the SDSM had totally abandoned social democracy in all but in name during the transitional process. Now, they make an attempt to reclaim their fight for social justice and workers’ right. However, beyond the mantra of EU and NATO membership as paths towards these aims, they have not built a convincing case of how this will be achieved. 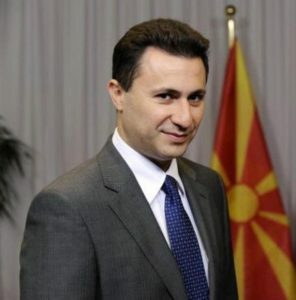 It is a reactionary scenario, while lifting the country out of the political crisis requires politics which are based on a more radical analysis, one which instead of focusing on the short term goal of uprooting Gruevski from power, addresses the deeper preconditions which had permitted his rise. In the absence of such radical politics, even if the third scenario were to become true, it is likely that SDSM will only become the new manager of Macedonia’s democracy, only shifting the clientelistic base to its own electorate. 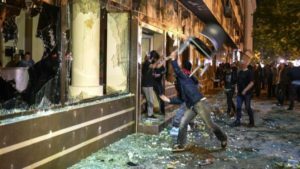 A radical solution is necessary for solving the ongoing Macedonian crisis, one which addresses the manner in which neoliberalism interlocks profit and politics, very much circumscribing the space where meaningful democracy can be exercised. So far, the only Party that has presented such radical diagnosis has been the newly formed left wing party Levica. Winning 12,000 votes (1,02% of the national vote), Levica has fallen short of winning an MP, but has succeeded to pass the 1% threshold necessary to obtain budgetary funding, which will help the sustainability of the Party in the long run. This is crucial, because through it, a radically left socio-economic critique to the current situation, aimed at challenging not only DPMNE, but also the wider neoliberal hegemony, which made Gruevski’s rise and endurance possible on the backs of an impoverished population, can circulate in the public domain, however closed this is for the left. It remains to be seen how Levica in particular, and the left in general, will survive the coming turbulence of Macedonia’s enduring political crisis, and how they will be able to influence the coordinates of socio-economic diagnosis and channel it into appropriate social action. Thank you for this article, which is very interesting. But can you provide some details and references for the claim that “Minimum-wage salaries, pensions, subsidies in agriculture and basic social security services have been made conditional on party loyalty and public debt has also been used to finance salaries for a burgeoning public administration staffed with party servants”? If true, documenting this properly may provide quite useful. One source of evidence are the wiretaps. There are conversations confirming how promotions, hirings and lay-offs in public jobs are arranged. In one tape, the former Minister of Interior is heard saying “Everything should be cleaned out [in the Interior Ministry],” by which she meant “cleared of any employees not under direct party control.” The same goes for the BDI. But this clientelism is so prevalent and taken as a given that only a comprehensive ethnographic study would make for an appropriate documentation. Thank you for the prompt reply, Adela. I guess one can never hope that large scale purpose-made studies clarify the extent to which this happen in a country. It is important what anecdotal evidence reveals about popular perceptions as those may shape behavior anyway. But what is obvious to natives needs to be documented for the outsiders who have no direct access to the same sources, the same reality of everyday conversations on the ground, what ordinary Macedonians find plausible and what they take for granted. So it would be nice to write up, e.g., how we know that the wiretaps document more than the – probably not even very stable – intention of some – probably not even top level – officials who may utter these thoughts in isolated conversations? I am not asking this to question what you are saying but because the clearer the argument is made about the evidence, the more persuasive the argument can become. I.e. if there is evidence that it is officials in positions of authority who air such views, that the pronouncements are repeatedly occurring, are not contradicted by other statements or legislation which is in effect, if there are independent confirmations of officials acting in accordance with these pronouncements, if relevant legislation was changed to make such abuses of political power easier, then the case becomes much stronger.